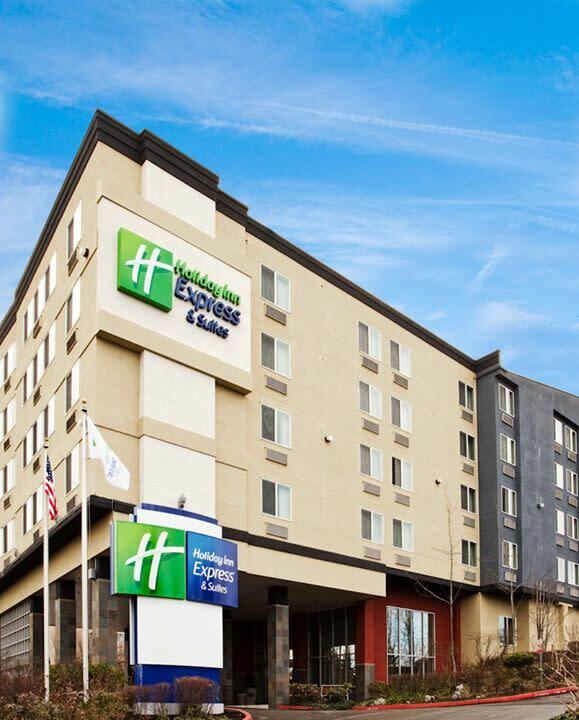 The Holiday Inn Express & Suites offers two meeting rooms. With advance notice, the on-site sales team can coordinate catering services for groups. 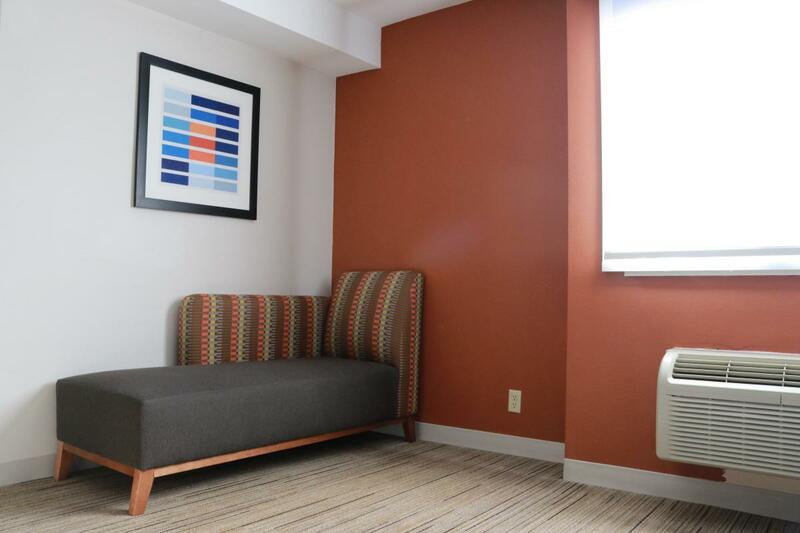 Groups that stay at the hotel and utilize the meeting space enjoy all of the hotel amenities including but not limited to: free parking, airport and courtesy shuttle. 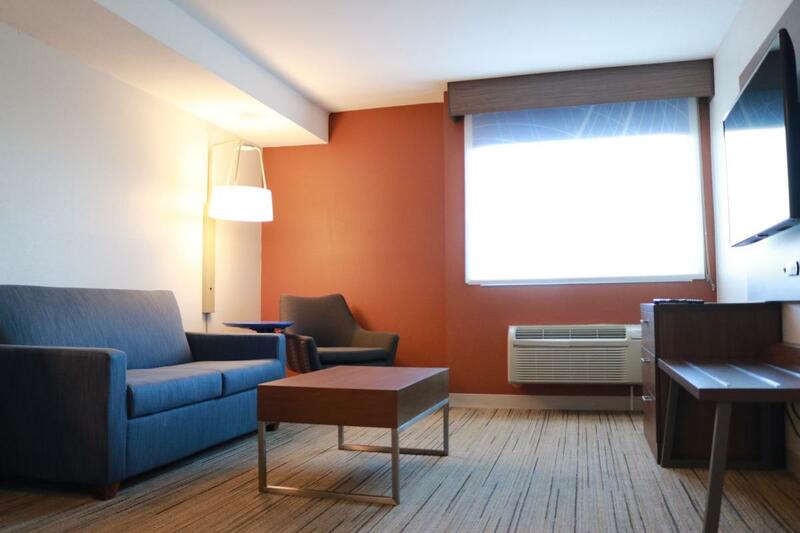 Description This newly remodeled limited service hotel offers two meeting rooms. 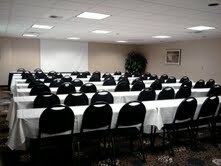 With advance notice the on-site sales team can coordinate catering services for groups. 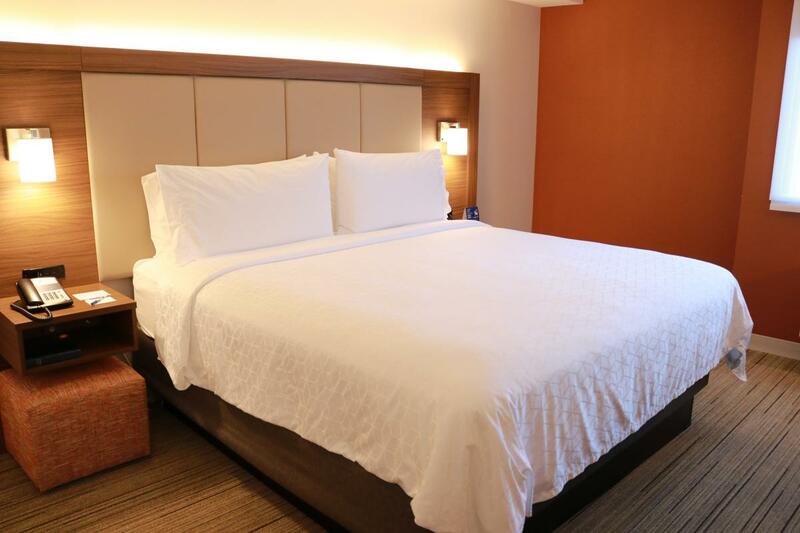 Groups that stay at the hotel and utilize the meeting space enjoy all of the hotel amenities including but not limited to: free parking, airport and courtesy shuttle. Space Notes We do not offer catering directly on-site from the hotel, however we do work with an outside vendor, Act 3 to handle all catering needs.